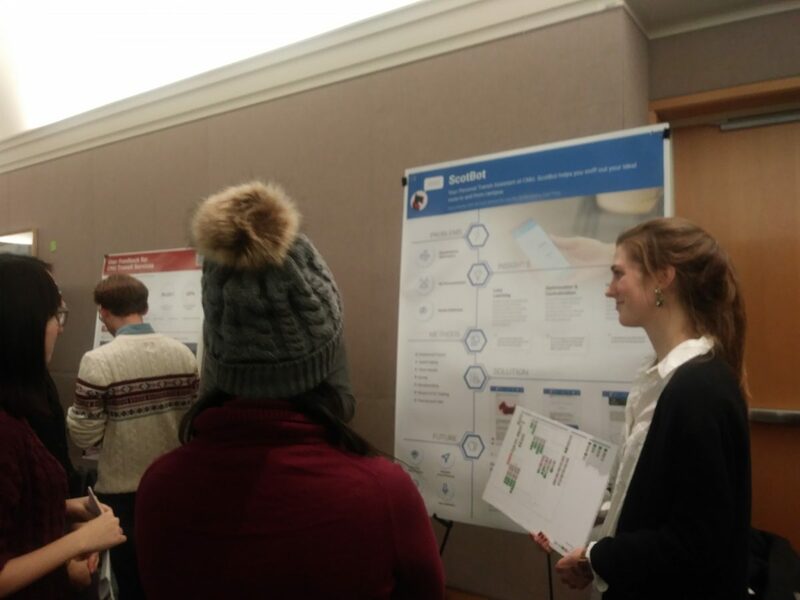 Project presentations for the Carnegie Mellon University User-Centered Research and Evaluation class, in which students investigated user needs for transportation on campus, were displayed today in the University Center. Students collected data from participants using a wide variety of methods, and used their insights to propose new solutions to address these needs for more visibility, efficiency, and opportunities with campus transportation. The results will be shared with the Graduate Student Assembly who will determine next steps.